As a renowned organization, we are engaged in manufacturing & supplying a quality range of Pneumatic Presses. The complete range of our products is manufactured using premium grade components sourced from trustable vendor of the industry. These machines are well equipped and needs low power consumption. All these products are non corrosive and scratch free. 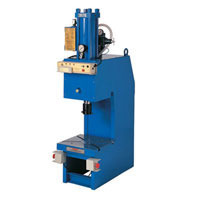 As a renowned organization, we are engaged in manufacturing supplying a quality range of Hydro Pneumatic Presses. The complete range of our products is manufactured using premium grade components sourced from trustable vendor of the industry. These machines are well equipped and needs low power consumption. All these products are non corrosive and scratch free. 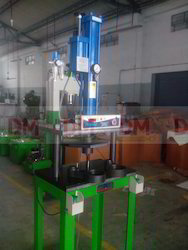 Looking for Hydro Pneumatic Press ?